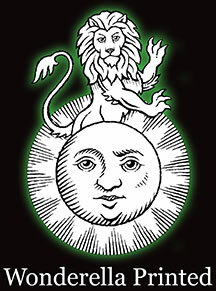 Announcing our new Fiddler’s Green Leaflet, The Riddle of the Sphinx: The Artist’s Path and the Secrets of Immortality. Pre-orders are open at fiddlersgreenzine.com. Fiddler's Green Peculiar Parish Magazine is proud to announce a call for submissions for our first all-fiction issue. Details at fiddlersgreenzine.com. 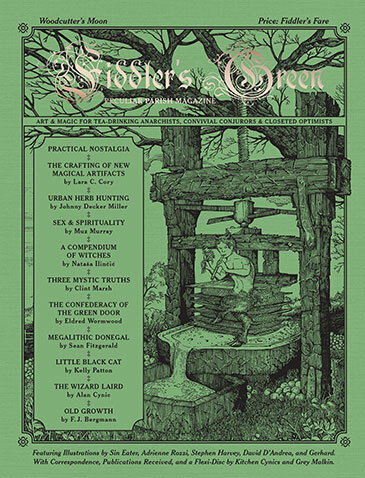 Fiddler's Green 6, “Woodcutter’s Moon,” is now shipping. If you haven’t yet ordered your copy, you can do so at fiddlersgreenzine.com. Pre-orders are open for Fiddler's Green 6, “Woodcutter’s Moon.” Details at our Fiddler's Green page, ordering at fiddlersgreenzine.com.